Bone conduction receivers offer this feature. The receiver usually lies flat against one part of the wearer’s head (the mandible) and uses vibration to transmit sound to the ear. A primary advantage of this technology is that sound is delivered clear and close, unaffected by any background noise in the area. In a tactical operation where noise is almost inevitable, this feature is very critical. The boom microphone allows the wearer to speak with clarity and helps to ensure handsfree operation. While the boom microphone on a headset may be small, it can be a powerful asset in clear delivery of a speech, and help make the wearer’s voice more distinct from background noise. A headset with noise cancellation technology will also make communication smooth, but if it lacks a boom mic feature, a gunshot or loud noise can result in a break in the transmission, which is the last thing you want during crucial situations. Comfort will always be a top priority when it comes to choosing a headset to wear. As any of the communications experts at cjcomponents.com will tell you a headset must be wearable first and foremost. If a headset is uncomfortable, bulky, or heavy, it’s going to interfere with the abilities of the wearer. A properly fitted headset with comfort features won’t inhibit one’s eyewear, helmet, or any other essential gear. In other words, it should be something that will fit well, if not seamlessly, with other tactical equipment. Hearing loss is a major issue in certain occupations, including construction, military, and law enforcement. The fact is these professionals are subjected to some extremely loud noises on a regular basis, and direct, on-ear protection is one of the only ways to guard against permanent hearing damage. That’s why military and law enforcement agencies will favor headsets that combine hearing protection with other communication features. This helps to protect wearers from long term impairment while still enabling them to do their jobs. 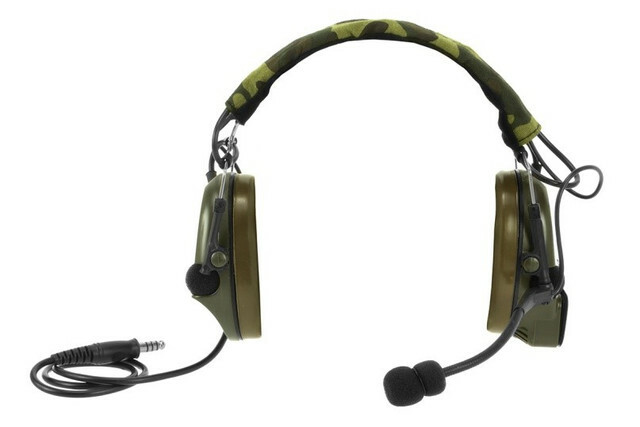 These are factors you may want to consider before investing in a tactical headset. Whether you work in a law enforcement agency or you’re considering options to fulfill a military contract, knowing ideal factors to consider will lead you to a better outcome and higher performance for the cost.